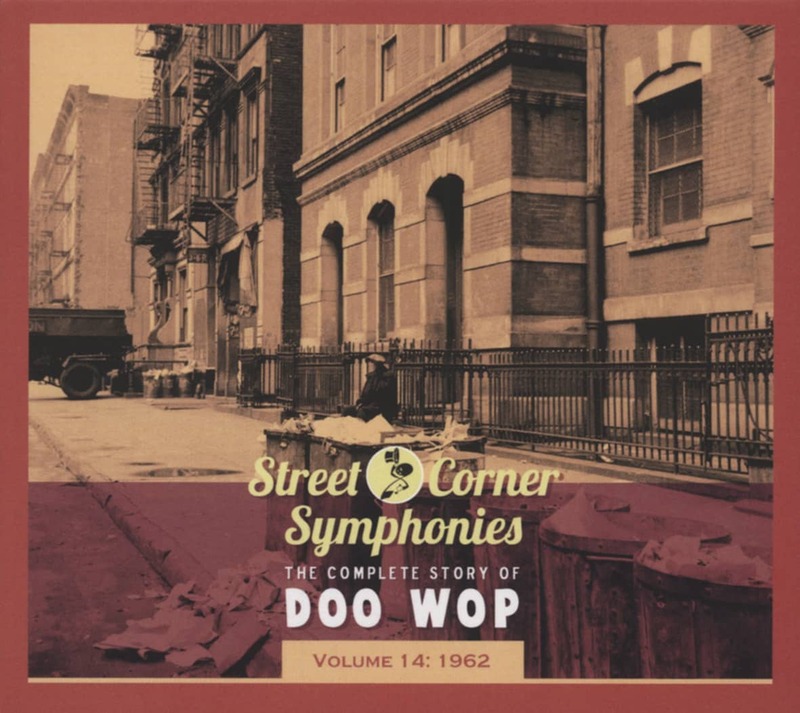 Nice Doo Wop from 1961. Motown didn't have every talented vocal group in Detroit locked up. Case in point: The Volumes, who had their biggest success their first time out with I Love You for Willie Ewing's local Chex label. Consisting of lead Eddie Union, tenors Lawrence 'Elijah' Davis and Larry Wright, baritone Joe Truvillion, and bass Ernest Newson (listed as writer of I Love You with Ewing, though Union claims he actually penned it), they cut the effervescent number in a garage with future Motown producer Norman Whitfield on tambourine and producer Richard 'Popcorn' Wylie banging on a suitcase rather than a drum kit. If The Volumes could make a record like this under those circumstances, they had to be good. Four of The Volumes attended Detroit's Central High School, while Larry went to Chadsey High. They formed the group in 1960, their name inspired by one member asking another to turn up the volume on a stereo. While appearing north of the border in Windsor in '61, Ewing caught their act, signed them to Chex, and pressed up the song that catapulted them up to #22 pop in the spring of '62 (some pressings listed their name with an odd apostrophe: Volume's). The gentle ballad Dreams resided on the flip. They originally intended I Love You as the B-side, but Richard Street's Distants beat them to their projected plug side, Answer Me. 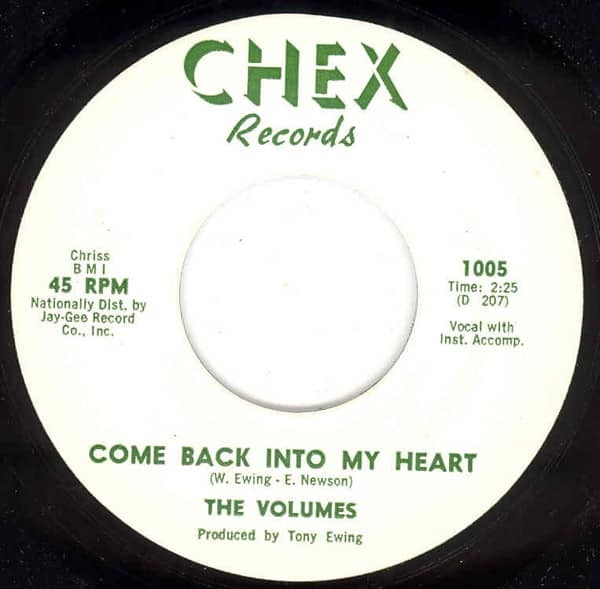 Their next Chex outing, Come Back Into My Heart, sounded quite a bit like I Love You with Ernest's burbling bass again setting the tempo (this time Lamont Dozier played drums). The Volumes split with Ewing and took up with producers Harry Balk and Irving Micahnik, who supervised their 45s on Jubilee, Old Town and Lou Guarino's American Arts label, where their Duke Browner-penned soul outing Gotta Give Her Love bubbled under in 1964 with instrumental backing by The Royaltones. Balk produced their '65 outing I Got Love for Twirl (a Balk/Micahnik enterprise). Gerald Mathis replaced Union in the lead role on their '66 Impact 45 The Trouble I've Seen for Balk before giving way to Jimmy Burger for three singles on another Balk-headed enterprise, Inferno Records (the third, Ain't That Lovin' You, was distributed by Motown). After a 1970 single for Ollie McLaughlin's Karen logo, The Volumes packed it in when Ernest joined The Fantastic Four. Newson died in 1990. Customer evaluation for "Come Back Into My Heart - The Bell 7inch, 45rpm"